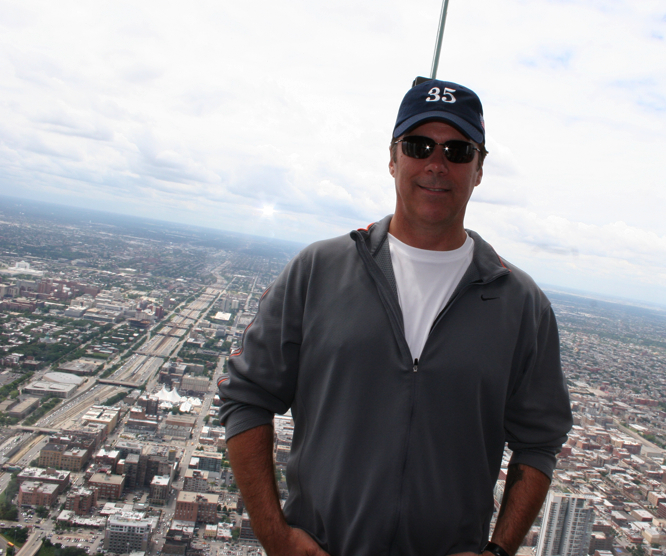 blog.richardroeper.com » Blog Archive » Meet me at the Willis Tower. « Worst first pitches—and some tips to stay off this list. 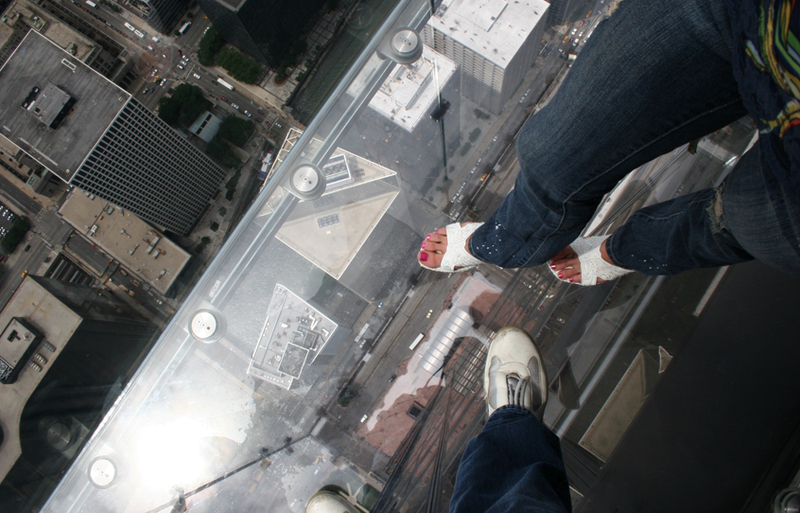 Meet me at the Willis Tower. 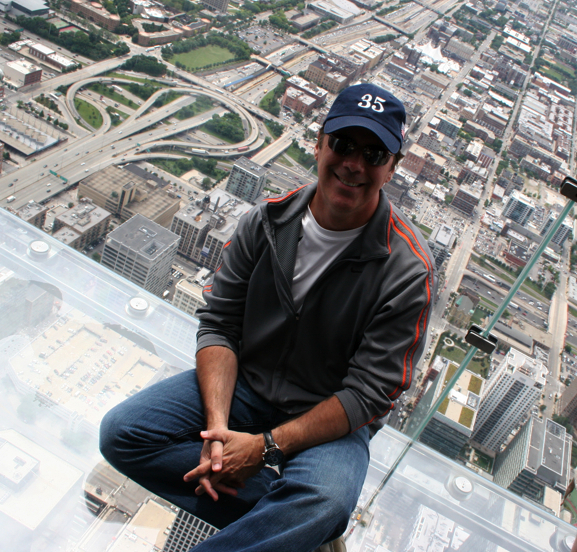 In my column in today’s Sun-Times, I talk about my recent excursion to the newly renamed Willis Tower and the Sky Ledge. 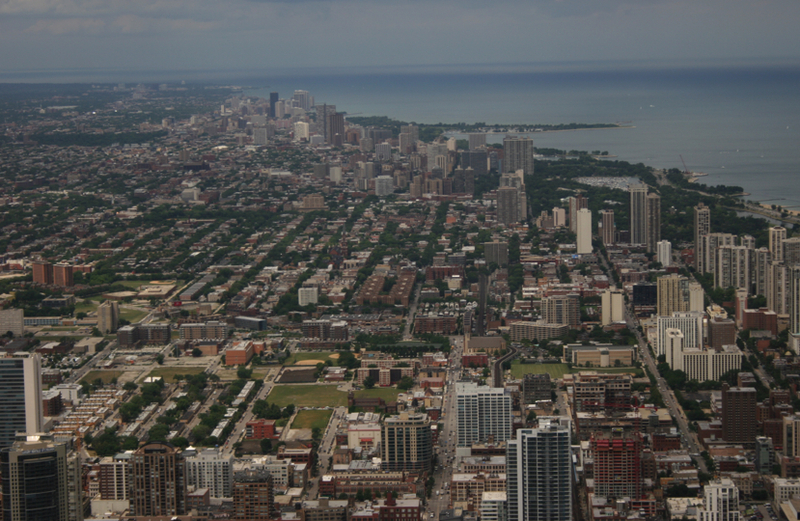 The view from the Willis Tower, looking north. 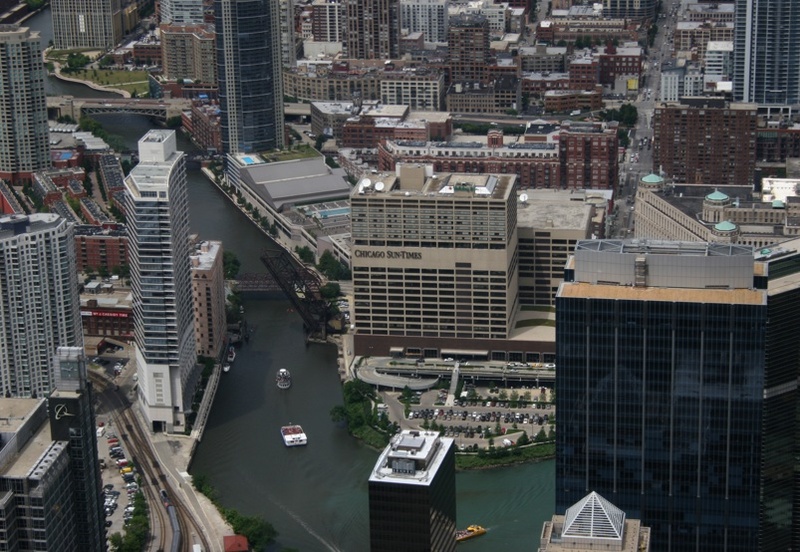 Sun-Times Building, as seen from Willis Tower. 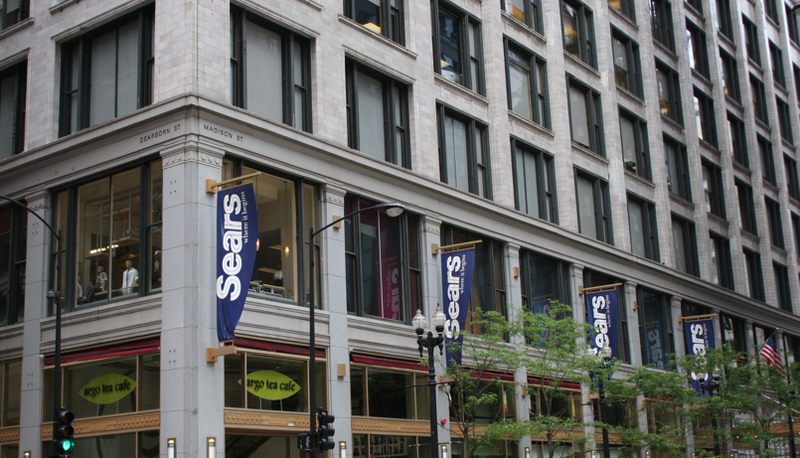 Sears still has some signage at Madison and Dearborn. 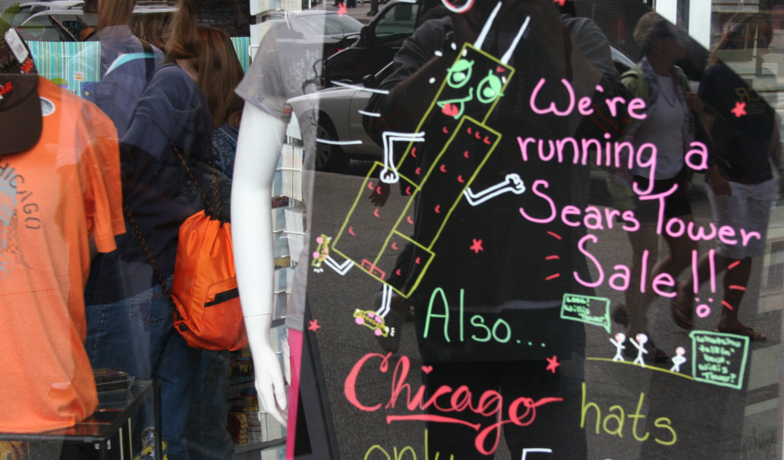 A souvenir store on Michigan Avenue reflects the changing signs of the times. 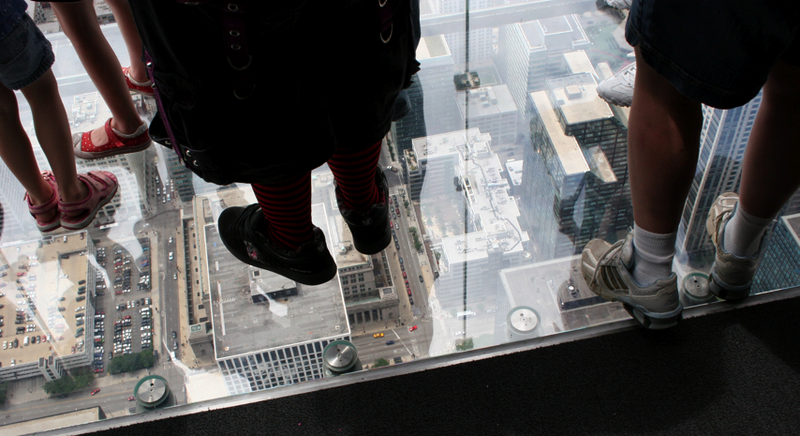 This entry was posted on Wednesday, July 22nd, 2009 at 9:40 am	and is filed under In the News. You can follow any responses to this entry through the RSS 2.0 feed. You can leave a response, or trackback from your own site. More pictures of the blonde, less of you please. So, how much weight can the box/ledge handle at one time. Also, the Daryl Hannah wannabe’s too skinny. @ sperlaine leave the poor girl alone, you are probably just over weight and jealous. Richard, she is ADORABLE! Way to go!! !